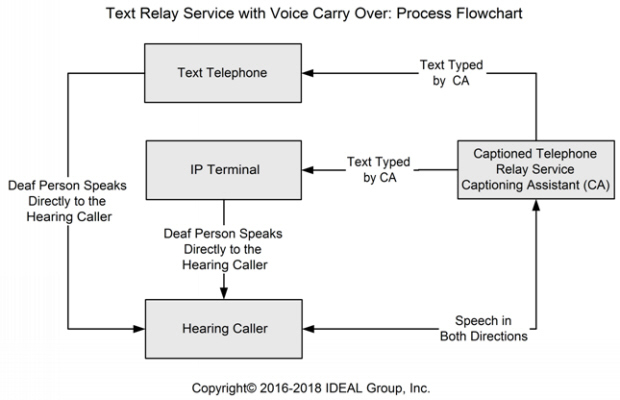 In situations where the speech of the deaf caller can be understood by the hearing caller, the deaf person can use a variant of a telephone relay service known as voice carry over. Instead of typing the words, the deaf person speaks directly to the hearing caller. 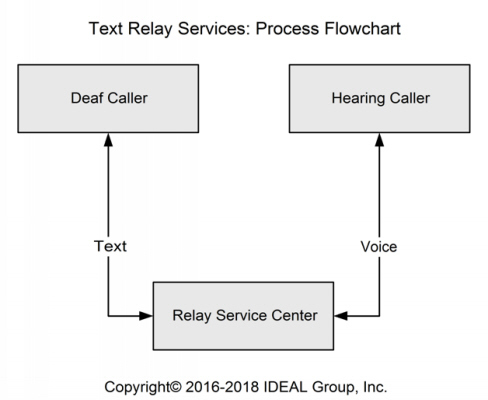 The hearing caller speaks to the relay operator, who will transcribe the words as text, which goes back to the deaf person’s display screen. The flow is either voice or text, but not both at the same time. One relay service, in particular, is the most functionally equivalent and appropriate type of relay service for people who are hard of hearing, people who have become late-deafened, and deaf people whose speech can be understood by hearing people. 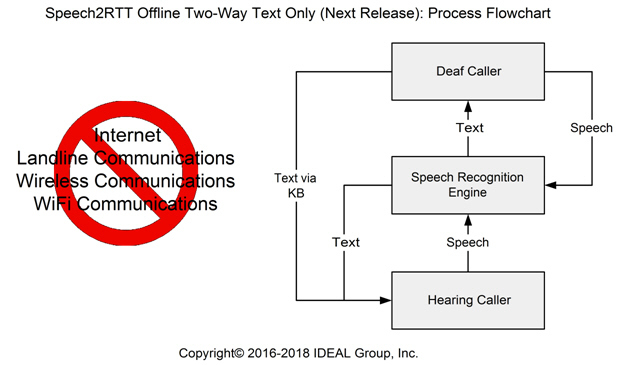 This is an enhanced voice carry over system where a deaf person has a normal telephone conversation in both directions with the hearing caller.The hearing person’s speech path is split into two: one path goes directly to the deaf caller, who may understand most, some, or none of the speech, depending on their level of hearing loss or the level of background noise. 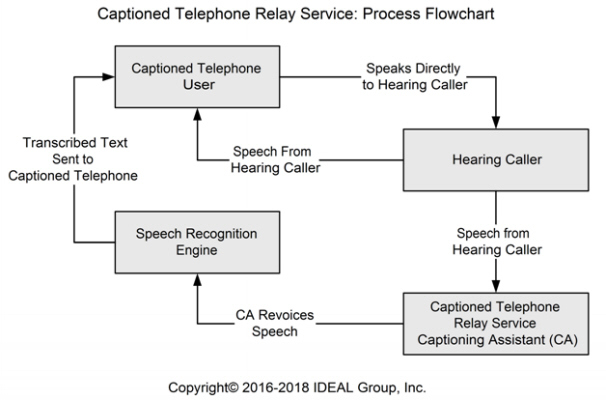 The other path goes to a captioned telephone relay service center, where a captioning assistant will revoice everything the hearing person says, word for word, into a voice recognition engine. 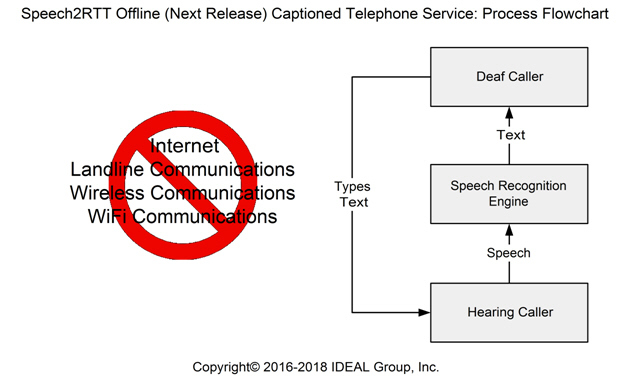 The transcribed text is transmitted to the deaf user’s display, which could be a laptop or a smartphone.A captioned telephone relay service can be accessed through the Internet using any browser device, such as a personal computer, laptop, netbook, tablet, or smartphone.Captioned telephone relay services are available in the United States every hour of the day and night, every day of the year. The cost to the user is the same as the cost of a standard telephone call. Many people with age-related disabilities cannot cope with computers; a captioned telephone is what they need. This looks like a normal telephone but with a large display to enable them to see transcribed text from the hearing caller. 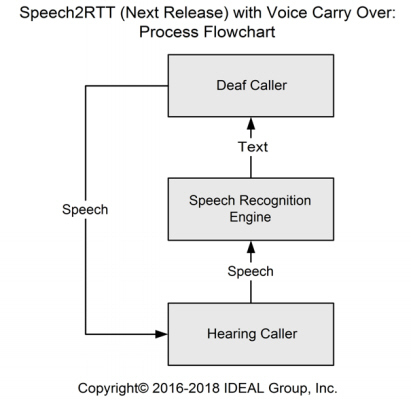 Speech2RTT is an Android application that enables people who are deaf, hard of hearing, and non-verbal to communicate with anyone, using speech to real-time text, using their Android smart phone or tablet. 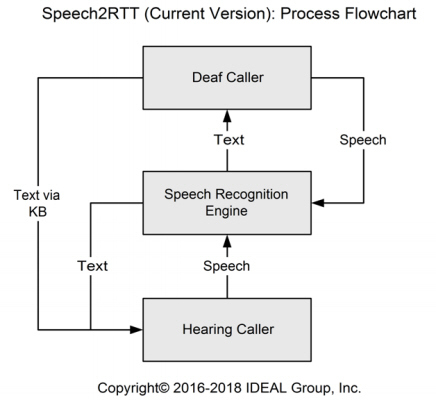 Speech2RTT is designed as a real-time text application only. It does not, currently, provide for two-way voice communications. This will be added in the next release. Speech2RTT works over cellular networks and for Wi-Fi calling. Speech2RTT captions and then streams the text of what is being said, in real-time, between individuals. If a user cannot speak, or opts not to speak, they can type what they want to say in real-time. Speech2RTT accommodates users in 96 countries speaking any one of 68 languages. Communications are 100% private. No communications assistants (CAs) are involved. No limits are imposed on the length of communications. 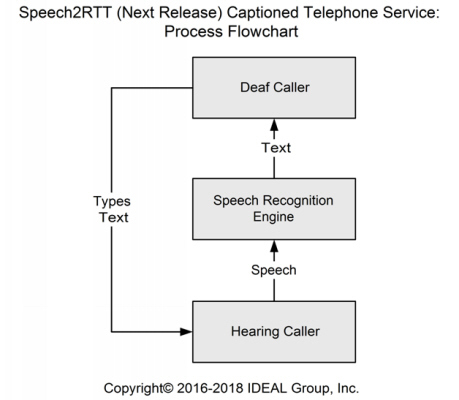 The Q2-2018 release of Speech2RTT will include powerful Peer-to-Peer communications support. Historical tables of U.S. Billion-dollar disaster events, summaries, report links and statistics for the 1980–2017 period of record. The report systematically considers a country’s vulnerability and its exposure to natural hazards to determine a ranking of countries around the world based on their natural disaster risk. The WRI determines the risk of becoming a victim of a disaster as a result of vulnerability and natural hazards such as earthquakes, volcanic eruptions, storms, floods, droughts and sea level rise for 173 countries worldwide. Historical tables of U.S. Billion-dollar disaster events, summaries, report links and statistics for the 1980–2017 period of record. Having the ability to communicate with others during natural disasters can be the difference between life and death. 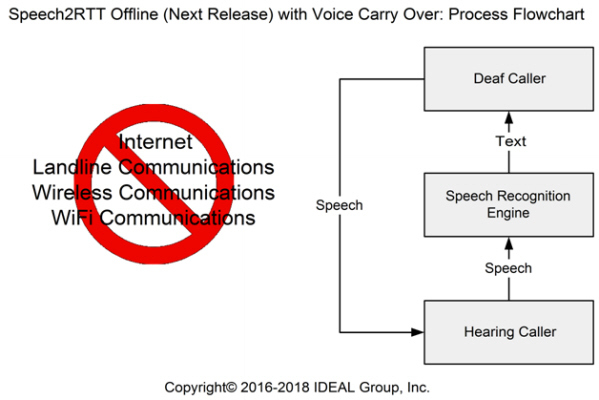 We hope to mitigate some of these communication interruptions, and save lives, by offering Speech2RTT Offline, Peer-to-Peer, Mode functionality in our next release. 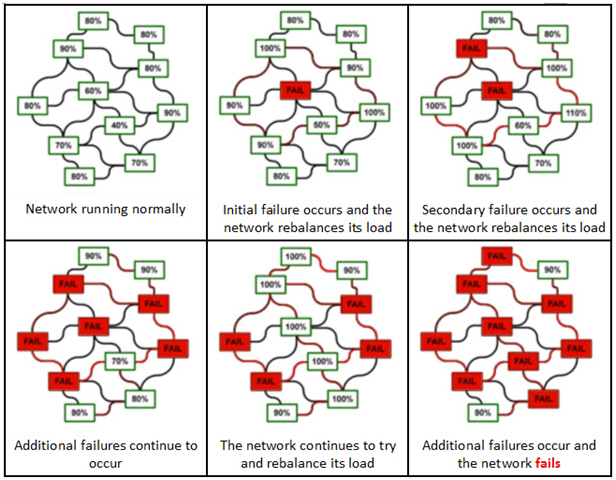 Here are flowcharts picturing the process flows. No voice-training is needed, even with accents.